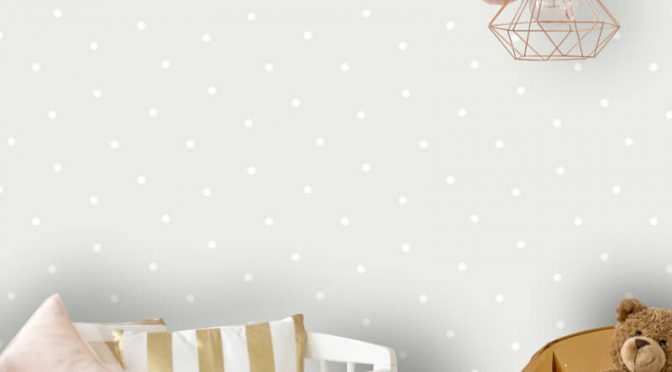 Holden Decor Dotty Spots Pattern Grey White Wallpaper is specially designed to add a fun touch to your walls this season. Firstly, this delicate wallpaper is part of the Make Believe Wallpaper Collection by Holden Decor. So it is sure to make a welcome addition to any room. Featuring a simple yet elegant dot motif, it comes in a timeless grey and white colour scheme for lasting style. Finally, use the Holden Décor Dotty Spots Pattern Grey/White Wallpaper for all over coverage. Team with coordinating designs from the same collection and you will complete the look.